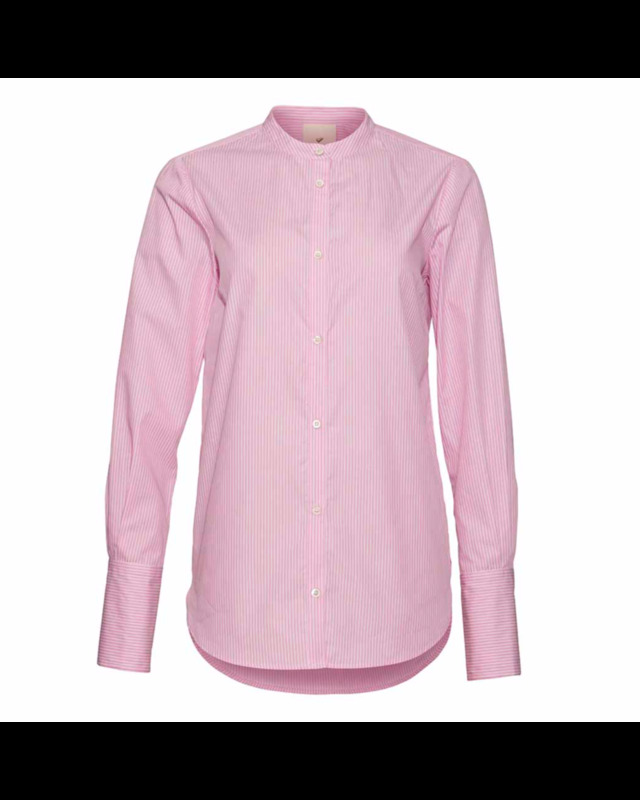 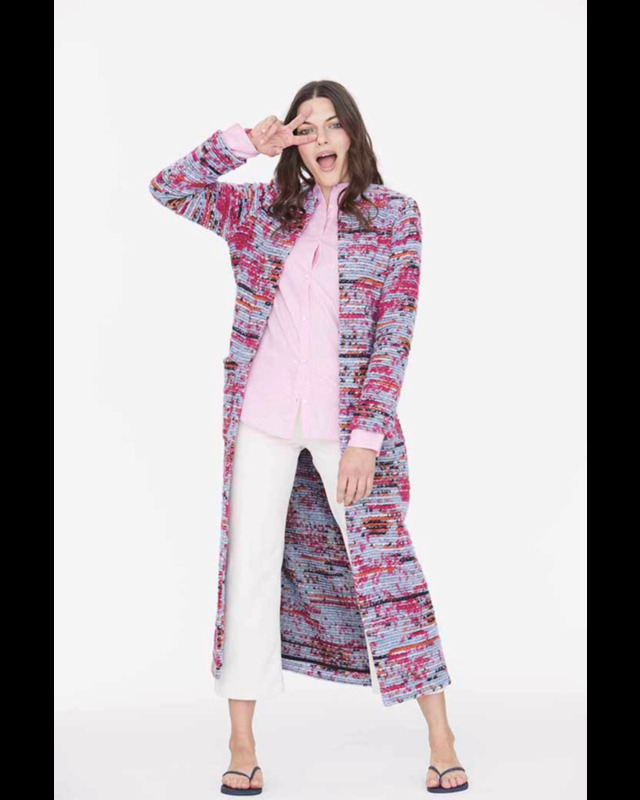 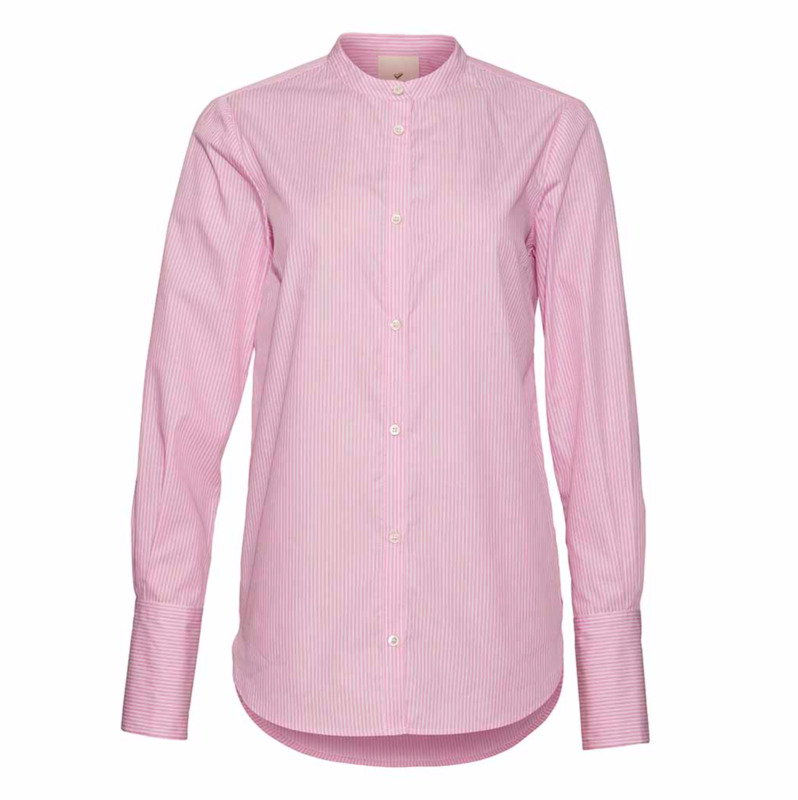 Cotton shirt in pink stripe print with long cuffs. 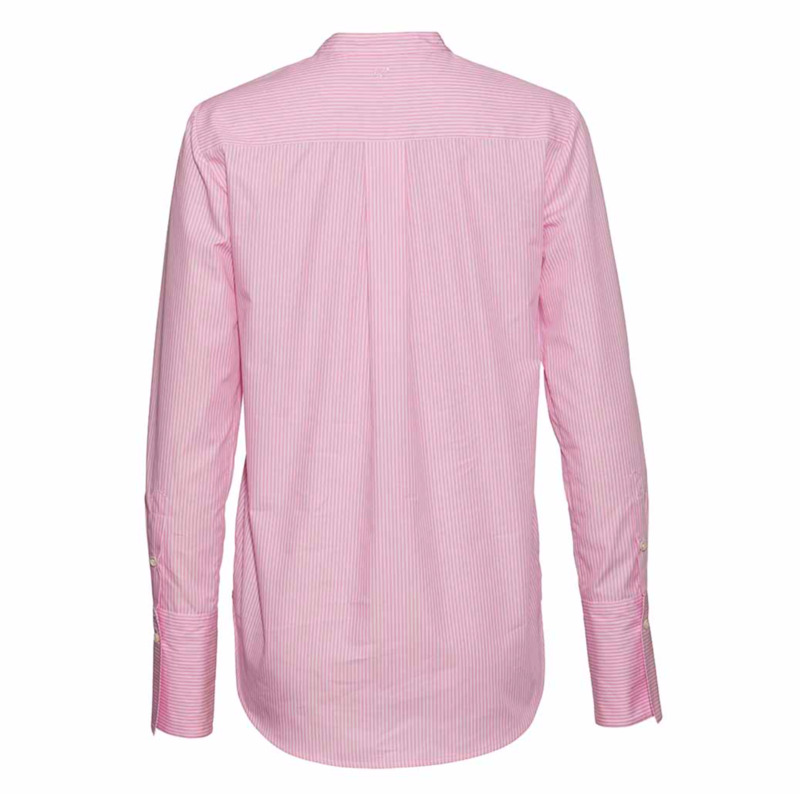 Visible buttons throughout the front. 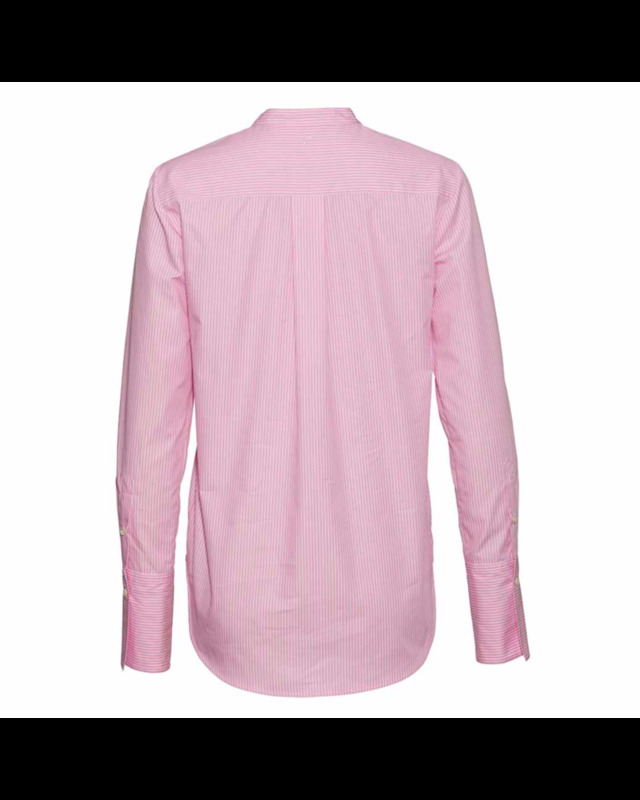 Rounded neck and curved hemline.